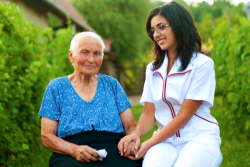 At Twin Maples Home Health, we understand how fulfilling it is to take care of your loved one. However, we also understand the exhaustion and stress that it can bring. This is why we are offering our Respite Services so that family caregivers can have the opportunity to rest and take care of themselves. After all, how can you take care of your loved one if you end up sick as well? Allow us to take care of your loved one, as you go ahead and take care of yourself as well. For more information, please don’t hesitate to call us at 740-596-1022.